You might remember C&T from last summer. Between the suspended centerpieces and the flowing fabric backdrop, their wedding is a hard one to forget. 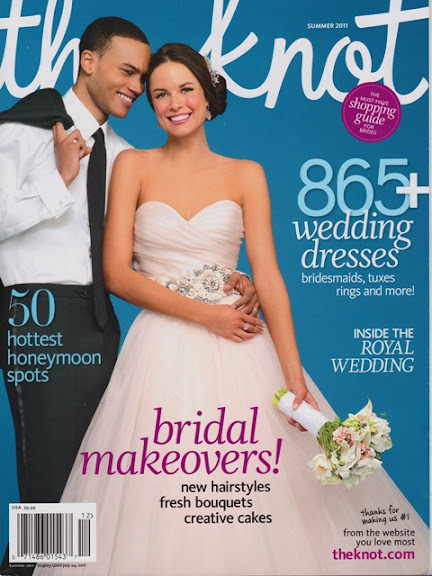 So it’s quite a joy to have them featured in this summer’s national issue of The Knot! 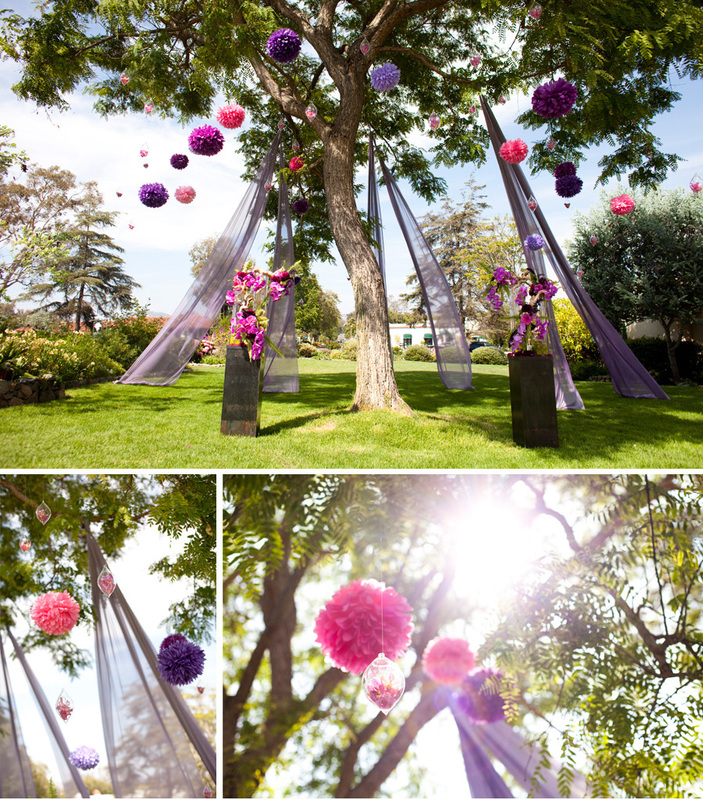 The picturesque ceremony site – a giant eucalyptus tree in which we hung brightly colored pom poms, delicate glass orbs filled with orchids, and hundreds of feet of flowing chiffon fabric. The theme was repeated in another large tree overhanging the lounge area of the reception, enhanced with candlelight added to the glass spheres. Between the two trees, the installation took multiple designers, a few rolls of fishing line, several hours, and two brave souls willing to climb to the very top of the two tallest ladders we have…and we think the outcome was totally worth it. 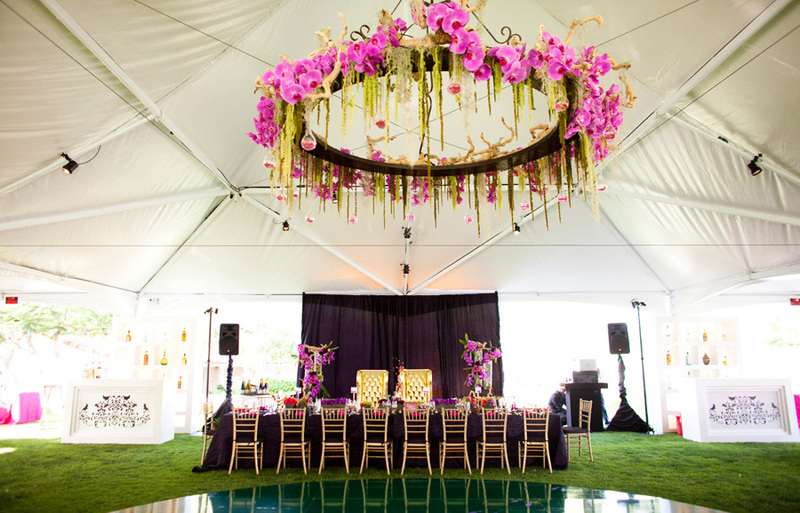 Centerpieces suspended from the tent ceiling, seemingly floating above the guests as they dined. 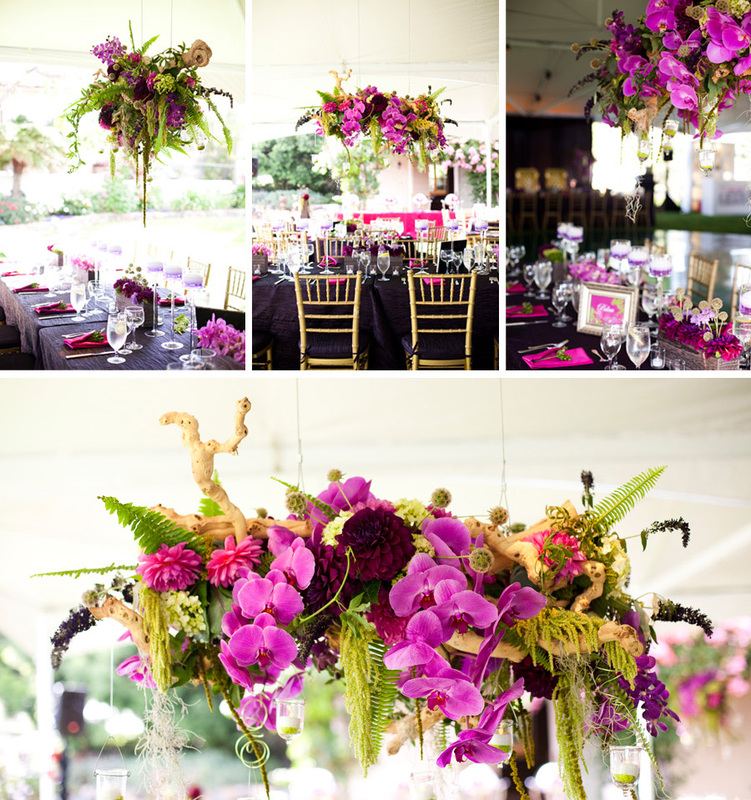 With a base of knotted grapewood embellished with fuchsia phalaenopsis orchids and dripping with moss-like amaranthus, the centerpieces combined both natural and exotic elements. And finally, the suspended centerpieces were only enhanced by the large hanging wrought-iron candelabra which served as a focal point over the dance floor. Due to the size of the candelabra, it was actually installed two days before the wedding, hoisted up at the same time as the tent itself. Our designers then continued the botanical themes from the bouquets, centerpieces, and throughout the event to make it truly spectacular. Thanks again to the fabulous team who made this “enchanted garden” a reality…Thomas Bui. Concepts Event Design. Platinum Pro. Lunaphoto. The Inn at Rancho Santa Fe. Sweet Cheeks Baking Company.